Or, get it for 124400 Kobo Super Points! 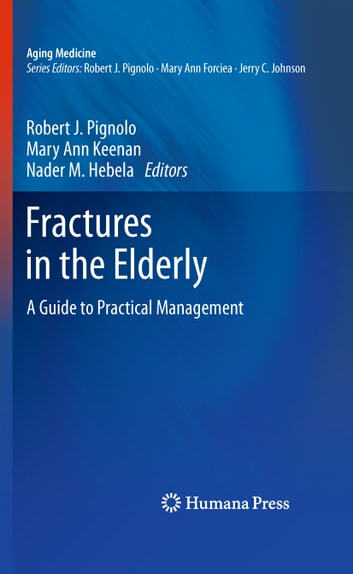 Fractures in the Elderly: A Guide to Practical Management provides geriatricians and other medical specialists who provide care for older adults with the vital guidance and most current data and opinions regarding the treatment of elderly patients who sustain a variety of fractures. It also provides orthopedic surgeons with the necessary information and most current data and opinions regarding assessment and management of geriatric conditions that predispose the elderly to fracture, perioperative complications and subsequent functional decline. Each chapter is both readable and appealing not only to geriatricians and orthopedic surgeons but to all clinicians that have contact with elderly patients who have sustained or are at high risk of sustaining a fracture. Emphasis is placed on the fact that although in some cases pre- and post-operative care in elderly fracture patient may proceed as it does in younger individuals, often there are considerations owing to functional status, pre-existing conditions, and age-related physiological declines that require specialized knowledge and alternative approaches. 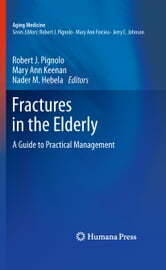 Developed by a group of renowned experts, Fractures in the Elderly: A Guide to Practical Management is a major addition to the literature and provides a wealth of specialized knowledge and approaches to care. It is an essential reference for all clinicians who care for older adults as well as fellows and residents in training.